It’s been a God-Awe-Ful month. 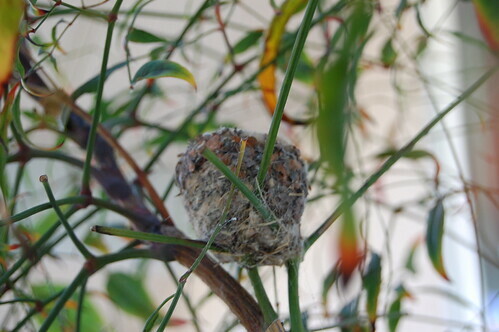 We were blessed with a humming bird building a nest in our patio. Every day, the mother would sit on her nest, ignoring all of us who would stand around the bush admiring her. 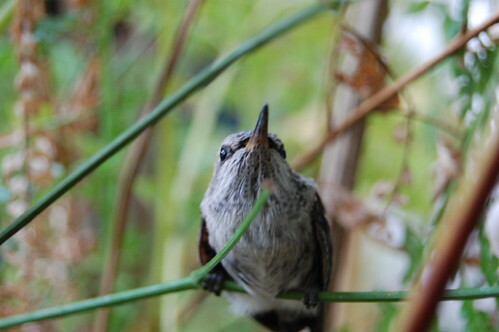 For a few moments, she’d leave her nest behind to do humming bird mom stuff. 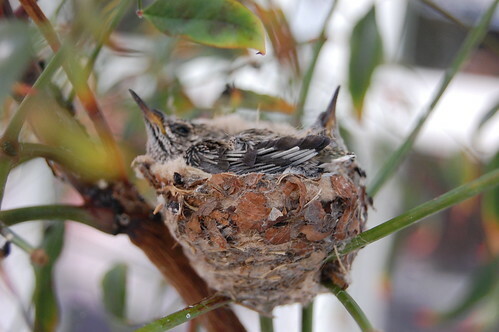 The eggs had hatched, and there were two baby humming birds. 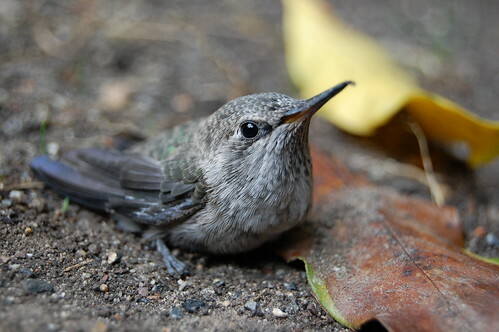 Humming birds are small to begin with, but these babies were really small. That’s a huge difference in one week. They actually look like humming birds! And they also could fly. 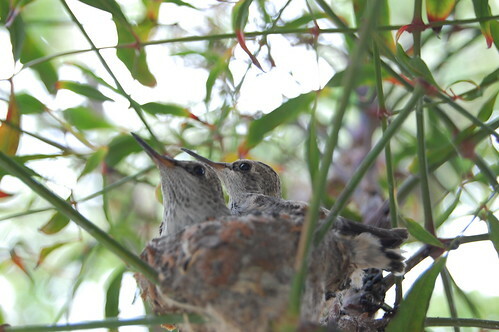 As I was walking away, I heard chirps, turned around and caught the babies flying. 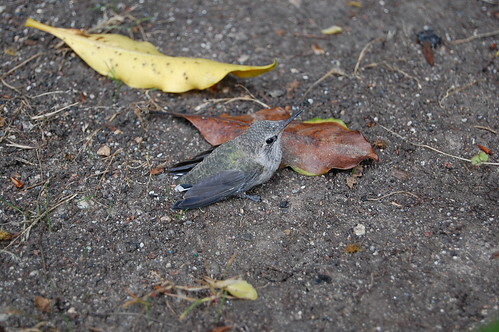 One landed on the ground in front of our sanctuary. For some reason, it wasn’t scared of me. Or maybe it was so terrified, it couldn’t fly away, which then, I’d feel horrible about. How can I not be in awe of God in witnessing things like this? If you want to see more of the same pictures, then you can go check out my flickr page. The hummingbird photos were fantastic! Thanks for sharing them. I noticed last night before the Ash Wednesday service that the nest was empty. I hope they and their parents are safe, warm, and have found good food sources. I did go to your flickr page–you have some amazing photos! You have a wonderful eye. I look forward to more of your shots. 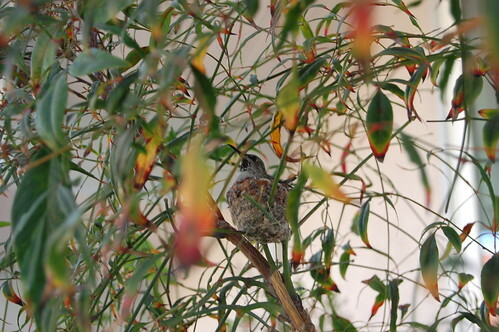 She waited for many years to have the hummingbirds nest in the yard. She always planted things that they would like. I am very happy they are there again this year.